Just catching up on the new Camelot series and spotted Daragh as Leodegrance. Tomorrow evening, Daragh O'Malley will be accepting the "Charity of the Year" award at the Intellectual Property Magazine Awards. We're so happy that this award will help spread the word about The Sharpe's Children Foundation. Last I heard, Daragh had produced a new film and was wanting distribution. Daragh is appearing in Cat on a Hot Tin Roof 30 October 14 - 29 November 14 at the Royal Exchange Theater in Manchester. Actor Daragh O'Malley returns to his roots in The Haymarket's Dancing at Lughnasa. Not sure I appreciate the difficulty. Is it in getting him to spruce up when he's not working? Or that he doesn't like to do social-type events? Both, although he does seem to like seeing his former Sharpies in their various projects. He just would rather nobody know he's about. 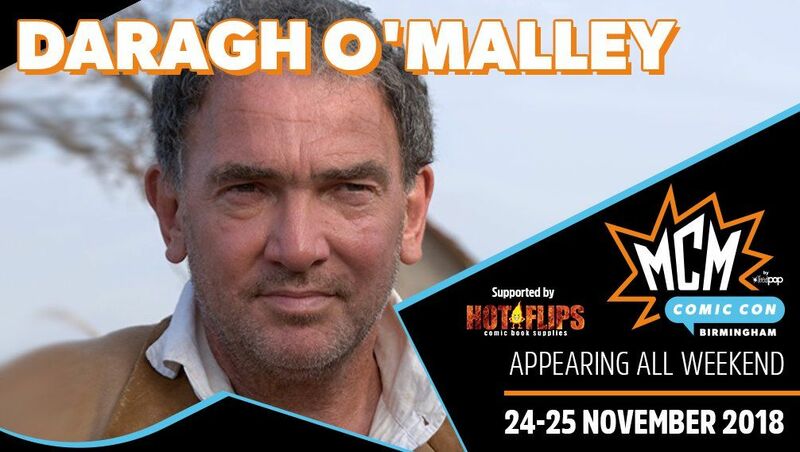 Best known as Patrick Harper in iconic TV series Sharpe, actor Daragh O'Malley is heading to MCM Birmingham Comic Con! Oh my god, I’m so happy, thank you, when will shoots be on sale on the site? 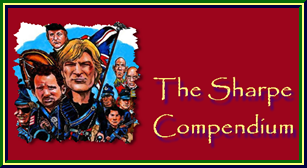 Can you please get some more chosen men and other sharpe guests. German insurer Allianz recreates former Education Minister Donogh O’Malley’s historic speech from 1966 when he announced free secondary education for all students without the knowledge or approval of his government. The minister’s son, actor Daragh O’Malley, plays his father in the first of the Allianz ‘We Cover Courage’ campaign series. O’Malley starred in the TV period drama Sharpe opposite Sean Bean and in Bruce Morrison’s cult movie Withnail and I with Richard E. Grant. The ad was created by In the Company of Huskies. Allianz has also recreated the full speech. Bromley Bedlam Bethlehem Rachel Tookey's award-winning play about the intergenerational impact of mental illness and trauma will have its first full-length London run at the Old Red Lion Theatre from 30 April - 25 May, coinciding with UK Mental Health Week.